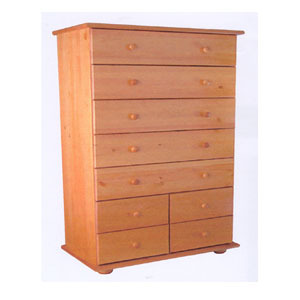 Solid Pine Wood 9-Drawer Chest. Available in Honey Pine and Natural Finish. Strong Construction. Easy To Assemble. Size: 33.5 In. (W) x 18 In. (D) x 63 In. (H).